There are now 81 players remaining. Bernard Lee and Dennis Phillips were both eliminated from the tournament at virtually the same time at separate tables. 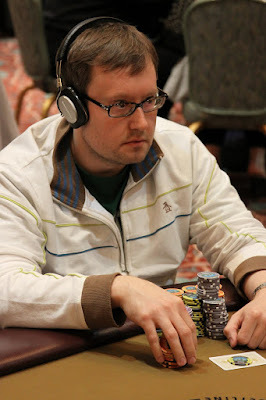 Lee was eliminated by Paul Harris when his A-K failed to improve against Harris's pocket nines. The Phillips elimination hand video will be posted shortly. The blinds have been increased to 1K-2K with a 200 ante. There are now 103 players remaining. Top 45 spots finish in the money. The remaining 136 players are now on a 10-minute break. When they return, the blinds will be increased to 800-1,600 with a 200 ante. 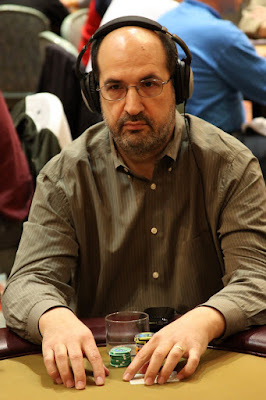 Alex "ags104" Santiago is in the field on day one of the $560 NLHE Mega Stack event. 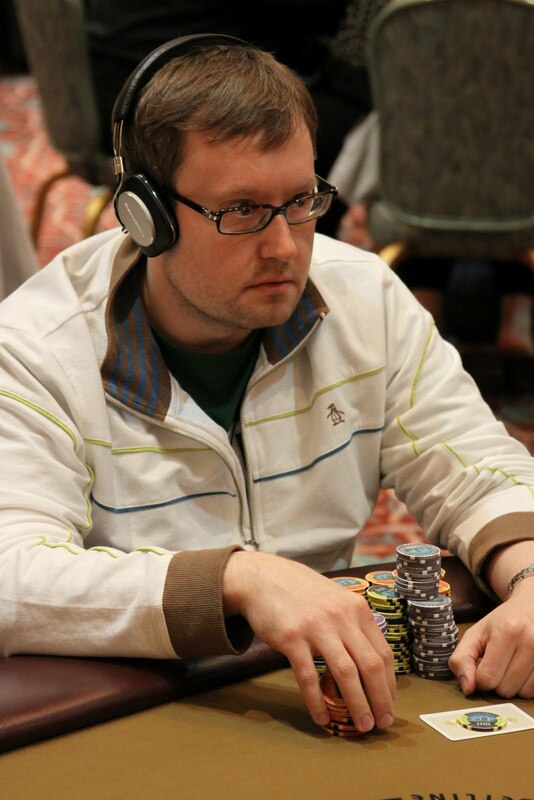 Just over one week ago, Alex took down the SCOOP #2 High event on Pokerstars. 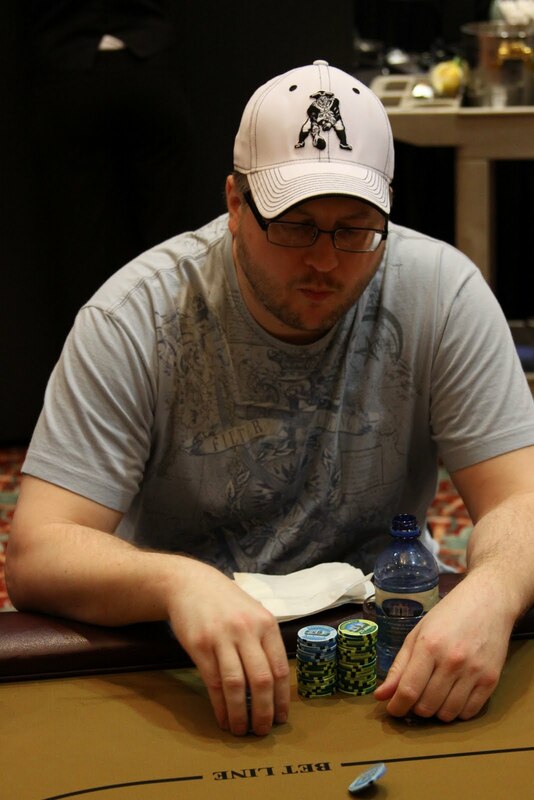 It was a $2,100 NLHE event and the victory netted him $387,720. 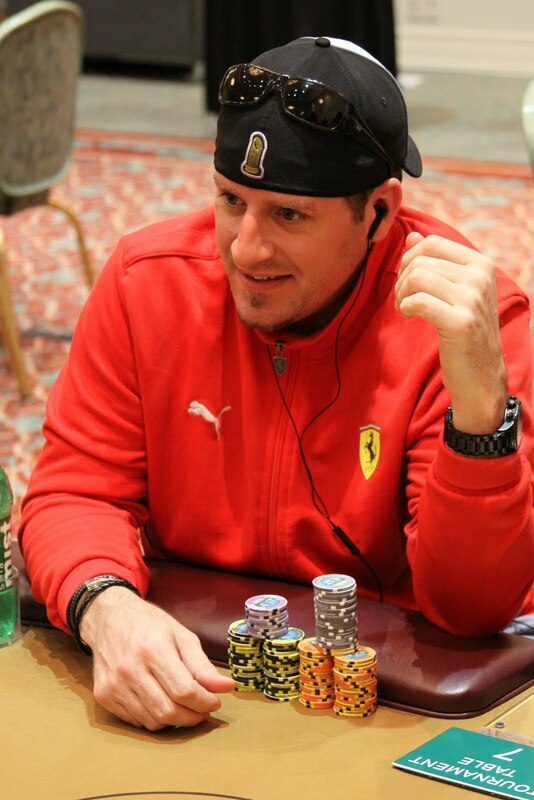 The day before he took down the SCOOP event, he final tabled the FTOPS #25 on Full Tilt for another $60,000. The 207 remaining players have returned from their dinner break and cards are back in the air! There players in the $560 NLHE Mega Stack Challenge are now on a one-hour dinner break. There are approximately 200 players remaining. The blinds have been increased to 400-800 with a 75 ante. There are approximately 240 players remaining. At the completion of this level, players will be on a one-hour dinner break. Dennis Phillips Triples Up Against KK and KK! Phillips was well behind in the hand but saw all that change on a flop of [9d][9h][8h]. The turn came the [2c] and the river was the [Qs]. Phillips tripled up to over 15,000 and his two opponents chopped the side pot. The 269 remaining players are now on a 10-minute break. When play resumes, the blinds will be increased to 300-600 with a 75. There are approximately 300 players remaining. The blinds have been increased to 200-400 with a 50 ante. 2008 WSOP November Nine member and PokerStars Team Pro Dennis Phillips talks to Jay "WhoJedi" Newnum about the Foxwoods Mega Stack Challenge, the World Series of Poker and being named U.S. Team Captain for the America's Cup. The blinds have been increased to 150-300 with a 25 ante. There are approximately 340 players remaining. We had a total of 415 players in the $560 NLHE Mega Stack Event. The top 45 places will finish in the money. 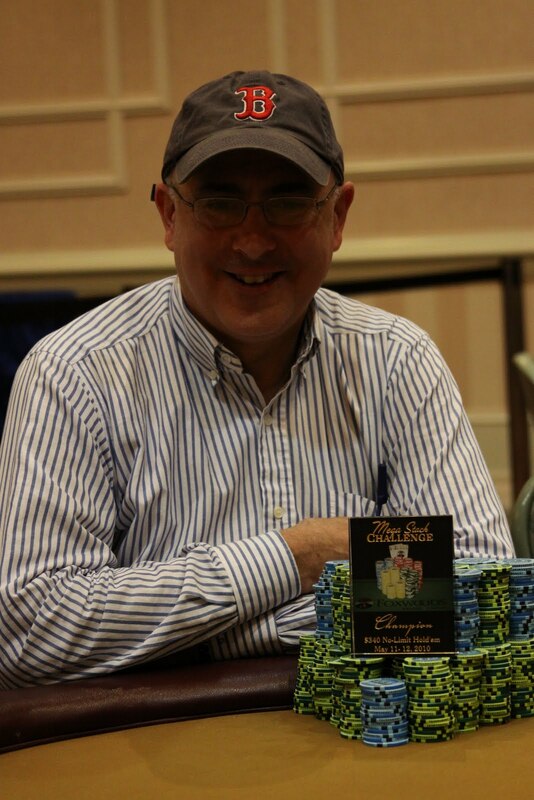 Paul Harris, co-host of The Final Table poker radio show with Dennis Phillips, is in today's field. 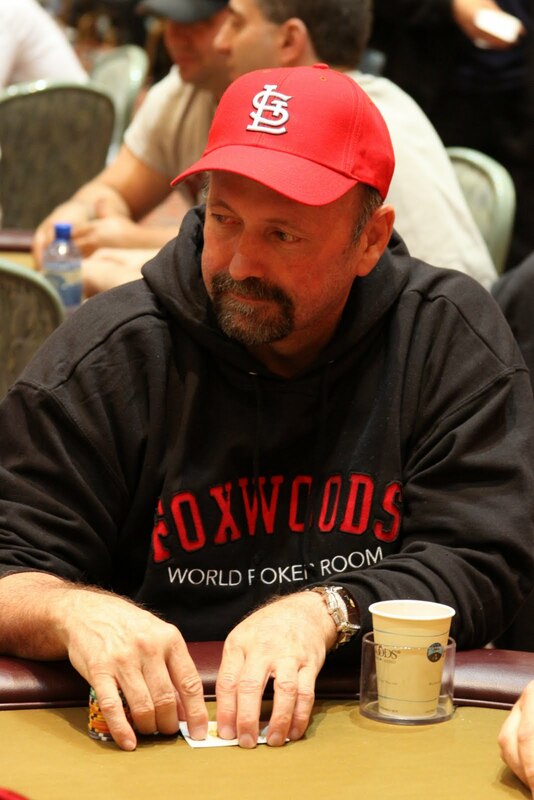 The players in the $560 Foxwoods Mega Stack Challenge event are currently on a 10-minute break. When they return, the blinds will be increased to 100-200. Just minutes into Day 1 at the $560 NLHE Mega Stack event, Bernard Lee gets all of his chips in the middle with a set of sixes against his opponent's pocket kings. Two members of the World Series of Poker November Nine are serving as hosts for the 2010 May Mega Stack Challenge. 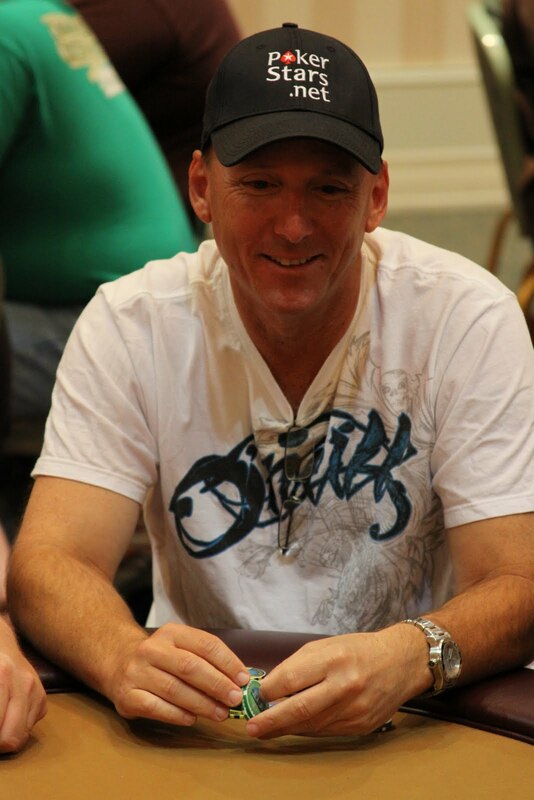 2008 WSOP Main Event November Nine member Dennis Phillips and 2009 WSOP Main Event November Nine member Kevin Schaffel are here all week playing in the Mega Stack events as well as meeting with fans. 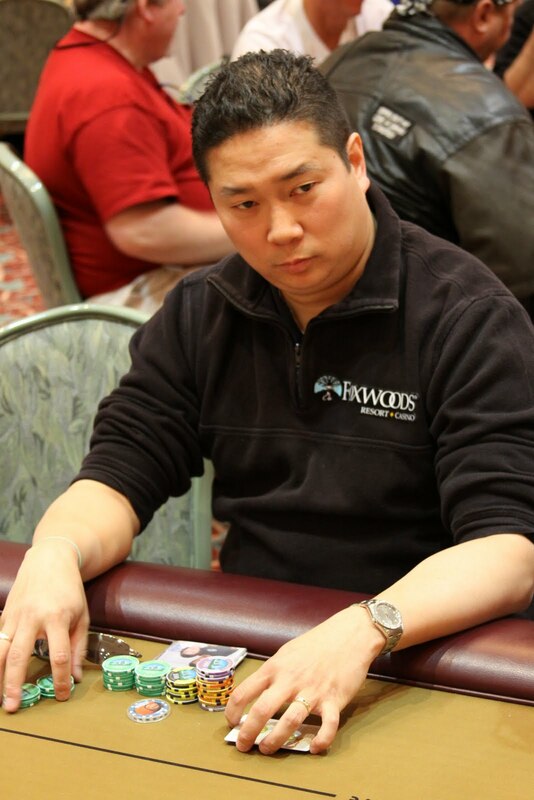 Bernard Lee just doubled up when he hit a set of sixes against his opponent's pocket kings. The video of the hand will be posted shortly. Just a few tables over, Kyle Loman flopped quads versus his opponent's full house and got all the chips in the middle. Both are now over 40,000 in chips. 2008 November Nine member Dennis Phillips gives the "Shuffle Up and Deal" call at the $560 NLHE Foxwoods Mega Stack Event. Shuffle Up and Deal at the Mega Stack Challenge! 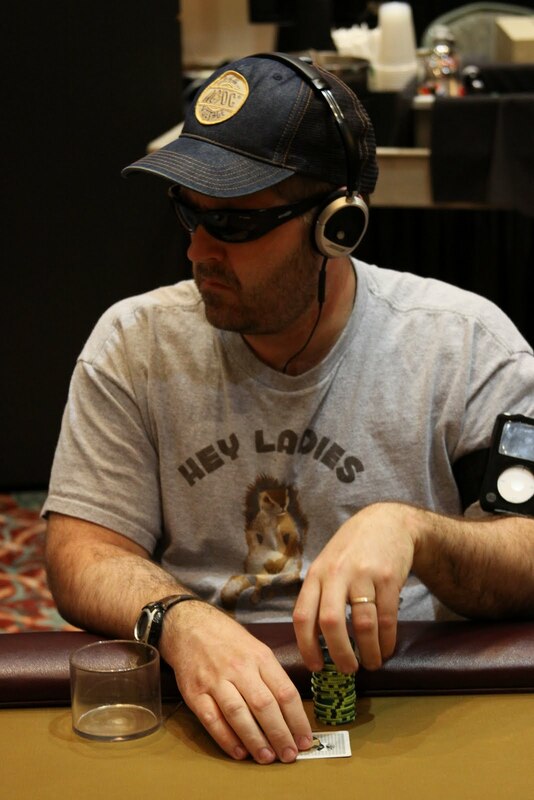 2008 November Nine member Dennis Phillips just announced "Shuffle up and deal" to all players in the $560 Mega Stack events. Blinds are starting at 25-50. Event #2 at the 2010 May Mega Stack Challenge is set to begin in about 20 minutes in the Grand Pequot Ballroom. The $560 NLHE event features 20,000 chip starting stacks and 50 minute levels. Registration will be open for the first two levels of play. After a deal was made heads-up, Tony Nguyen is officially your Champion of the $340 Mega Stack Challenge Event and takes home $37,037. David Kluchman officially gets second and pockets $36,038. Andrew Kloc moved all in from the button for his last 875K and was called by both David Kluchman and Tony Nguyen. 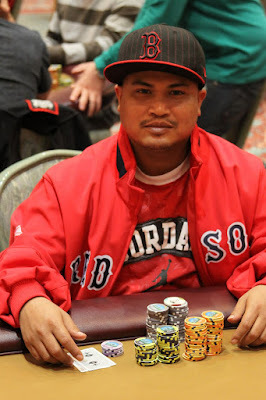 Nguyen's pair of tens won the pot and eliminated Kloc in third place. 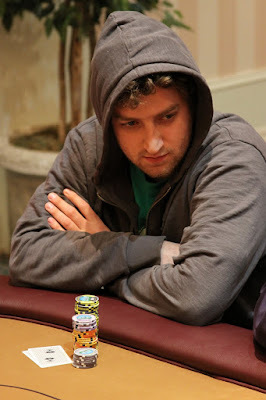 Tim Fisher gets his last few chips in the middle against the 7-6 of David Kluchman. Unfortunately for Fisher, things did not exactly go his way and he was eliminated in 6th place. 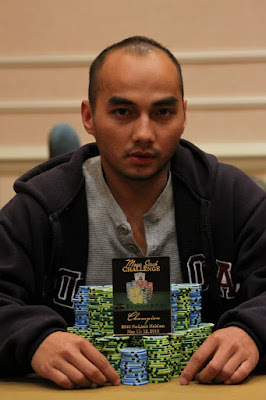 The board came [Ah][Td][4h][Qd][2h] and Nguyen's jacks held up to win the pot and eliminate Clark in 4th place. 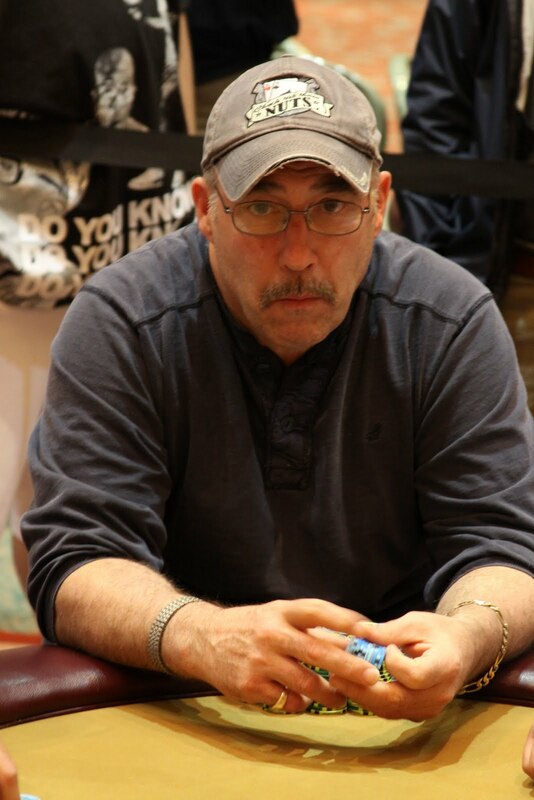 David Kluchman raised to 400K from under the gun and Billy Cunningham moved all in for less from the small blind. Michael Clark called from the big blind. 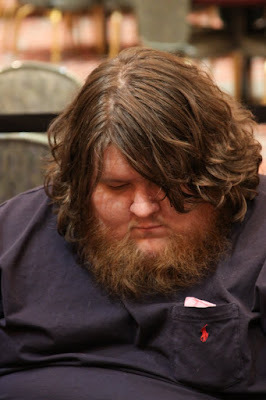 They checked a board of [Qc][6c][4c][2h][Ac] to the river, where Clark checked and Kluchman bet 200K. 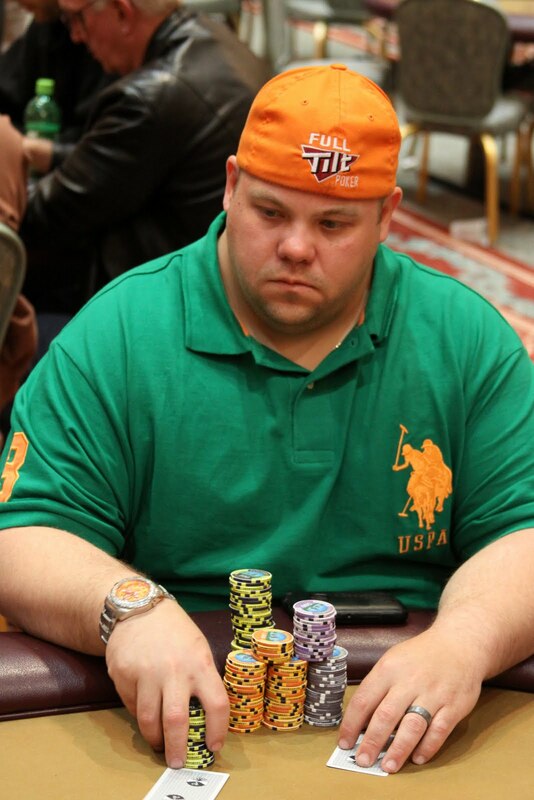 Clark folded and Kluchman turned up [Ks][Jc] for a flush. Cunningham mucked and was eliminated in 5th place. 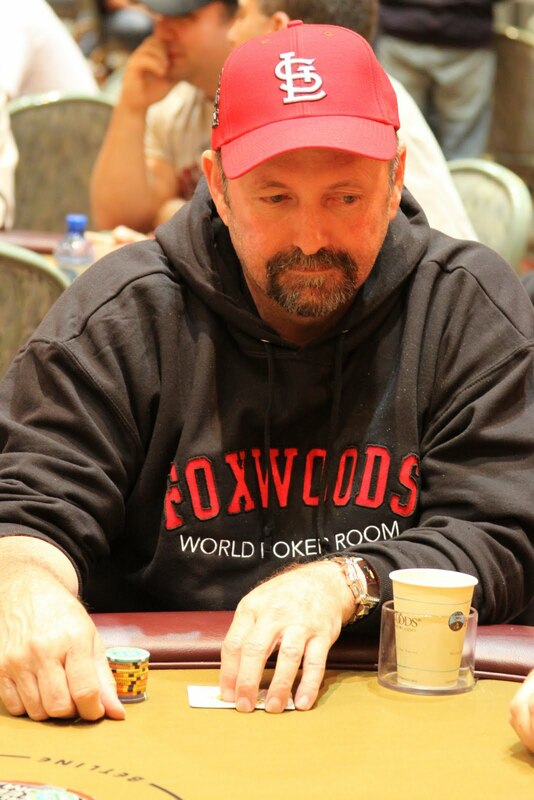 Timothy Fisher has been eliminated in 6th place. The video of the hand will be posted shortly.